Brendan Deneen has been a professional comic book writer since 2006, when his critically-acclaimed series SCATTERBRAIN was released. Since then, he has worked on FLASH GORDON, CASPER THE FRIENDLY GHOST, and many others, including the upcoming THE ISLAND OF MISFIT TOYS original graphic novel. By day, he is an Executive Editor at Macmillan Entertainment, where he edits THE WALKING DEAD novels, among many others. He also has film and TV projects set up at MGM, Legendary Pictures, The Weinstein Company, and others. 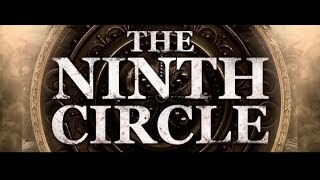 THE NINTH CIRCLE is his debut prose novel.